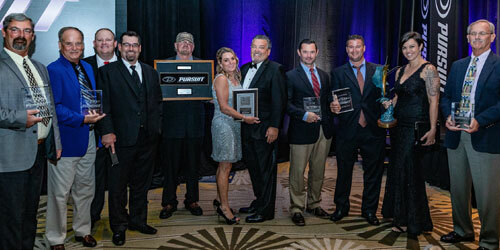 Pursuit Boats awarded top domestic, international dealers and salespeople during their annual dealer conference in Sarasota, Florida. Pursuit Boats debuted their all new S 288 in Bimini, Bahamas, to a group of owners at their annual Rendezvous and Customer Appreciation Event. The S 288 joins the Sport family that includes the exceedingly popular S 408, S 368 and S 328 models introduced over the last two years. Pursuit’s engineering teams have developed a winning formula and delivered an entirely new lineup of luxury center consoles in just 24 months. Pursuit Boats was honored to receive Runner Up for Manufacturer of the Year by the South Florida Manufacturing Association. Each year SFMA celebrates business excellence by recognizing both individuals and companies demonstrating superior manufacturing techniques. Pursuit Boats was nominated by the St. Lucie County EDC and was among 83 nominees considered for an award in South Florida. Eighteen finalists were chosen in four categories. Pursuit Boats is excited to announce it has appointed Marine Riley as its authorized dealer for Australia and New Zealand. Marine Riley supplies high-quality motor yachts, sailing yachts and top notch marine and water sport related merchandise from around the world, with a key focus on tenders, trips and toys. Offering support, consultancy, service and sales across Australia, New Zealand, Fiji, Tahiti and the Asia Pacific region, Marine Riley is fully equipped to support the sales and service of all Pursuit Boats product. 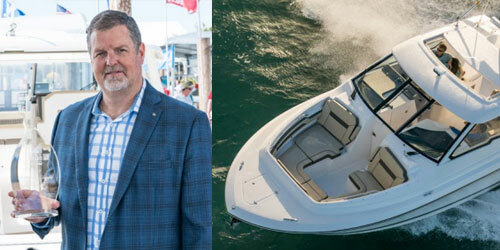 Pursuit Boats continues to grow its award-winning Dual Console product line. The Boating Writers International judging team, in support of the NMMA, voted the all new DC 365 to be the most Innovative product in the Center Console/ Walkaround Fishing Boats category during the 2018 Progressive Insurance Miami International Boat Show. The stylish Dual Console series that has been perfected by Pursuit is expanding to include the all new DC 365. Pursuit Boats introduced their new DC 365 to marine media professionals, dealers and boat show attendees during the 2017 Ft. Lauderdale International Boat Show. The latest – and largest – addition to the award-winning line of dual consoles, the DC 365 offers more seating, innovation and features. Pursuit Boats is pleased to announce that Les Ares has joined the Pursuit Boats sales team as Business Development Manager for South Florida, Latin America and the Caribbean. Pursuit Boats recently debuted their new S 368 in Fort Pierce, Florida to local marine media representatives. The new luxury center console, moored within a few minutes of the Pursuit manufacturing facility, is available for customer sea trials and editorial projects and will be featured in upcoming Pursuit rendezvous to the Florida Keys and Bahamas. 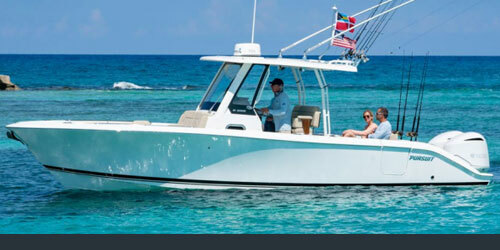 The S 368 joins the Sport family that includes the popular and wellreceived S 408 and S 328 models consecutively introduced over the last two Miami International Boat Shows. Pursuit’s engineering teams have developed a winning formula and delivered three exciting new products in just 16 months. Pursuit Boats is proud to announce that 19 of their dealers are recipients of the first ever Marine Industry Customer Satisfaction Index Award for excellence in customer satisfaction. 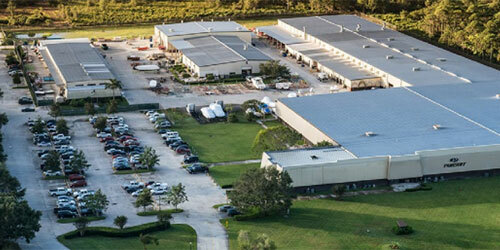 Construction is underway for a new building at the Pursuit Boats facilities in Fort Pierce, Florida. The expansion will enable Pursuit to increase production up to 50% in order to meet the growing market demands for Pursuit’s luxury line of sport fishing and cruising boats. The increased pace of new product introductions, like the S 328, has generated retail enthusiasm to levels that require more manufacturing space. Pursuit Boats is once again a recipient of the Marine Industry Customer Satisfaction Index Award for excellence in customer satisfaction. Winners were announced by The National Marine Manufacturers Association (NMMA) and acknowledged during the annual Industry Awards Breakfast at the 2017 Miami International Boat Show. This will be 15 years in a row that Pursuit has achieved this recognition. Pursuit Boats debuted their new S 328 to marine media professionals, valued dealers and boat show attendees during the 2017 Miami International Boat Show. The S 328 is the sister boat of the popular and well-received S 408 that debuted at the Miami show in 2016, and will further broaden the Sport line of Pursuit models. Pursuit Boats recently debuted their new S 408 and DC 295 to an exclusive group of marine media professionals during the 2016 Miami International Boat Show. The S 408 and DC 295 round out an exciting lineup of four new Pursuit products over as many months, including the well received OS 355 and C 238 both introduced in October 2015. Pursuit Boats is excited to announce it has appointed Legendary Marine as its authorized dealer for the Florida panhandle. 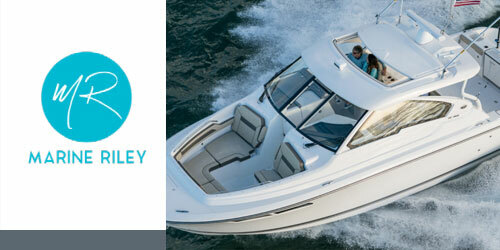 When it comes to all things boating, Legendary Marine is an exceptional, full-service marine provider. With national and regional awardwinning sales and service teams, Legendary is fully equipped to support the sales and service of all Pursuit Boats product. Established in 2001, they have created a world class dealership facility that offers a high level of professionalism and customer service. Pursuit Boats debuted their new 355 OFFSHORE and 238 CENTER CONSOLE to a select group of marine media today under crystal clear Florida skies. These are the first of four exciting products coming to market this year as Pursuit is on an aggressive design and engineering schedule to meet the growing demand for their product. S2 Yachts, builders of premium Pursuit Boats and Tiara Yachts announced today a partnership with the leading yacht insurance broker, Atlass Insurance based in Fort Lauderdale, Florida. The S2 Yachts specifi c program is designed to offer all present and future Tiara Yachts and Pursuit Boats owners an industry leading compliment of benefi ts uniquely tailored to the product’s end use. Pursuit Boats is pleased to announce that Mark Taiclet has joined the Pursuit Boats sales team as a Product and Distribution Manager. In this new role, Mark will be focused on growing and improving the quality of the Pursuit Boats distribution network as well as ensuring Pursuit Boats are competitive within the marketplace and outfi tted with current features and content. Pursuit Boats has appointed Alexander Marine California as its exclusive authorized dealer for Southern California. The Alexander Marine Facility is located at 2505 West Coast Highway, Suite 202 in Newport Beach, CA 92663. Alexander Marine through its Ocean Alexander line of yachts has been established in Southern California for more than 35 years and has developed a strong professional sales staff within this important marketplace. Contact Alexander Marine California directly at alexandermarineusa.com or 949-515-7700.